While articulating compelling use cases for the iPhone was relatively simple, the same can’t be said for the upcoming Apple Watch. Sure, we know that Apple’s upcoming wearable will help free us from the shackles of our smartphone, and yeah, we know that it’s only a matter of time before the Apple Watch App Store is brimming with all sorts of applications that we can’t even dream of today. Still, there’s no getting around the fact that the Apple Watch itself is an accessory, self-evident in the fact that it requires an iPhone to run properly. In attempting to carve out explanations for why the Apple Watch may be Apple’s next big thing, we far too often fall into the trap of looking at the device through the prism of existing products. Which is to say, trying to explain why the Apple Watch may be the next iPod, iPhone, or iPad completely misses the point. 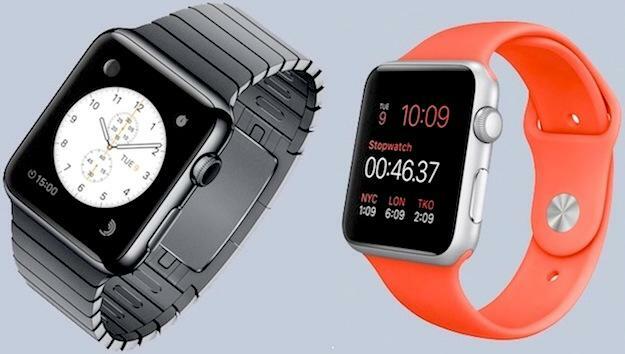 Such threads ignore the fact that the Apple Watch, as an accessory, is a product unique unto itself. While it’s something you’ll have on you every day, it’s not designed to be a product that you use all the time. A well-reasoned and insightful piece from Abdel Ibrahim likens the Apple Watch to the controls one might find on a car’s steering wheel. While perhaps an unusual analogy at first glance, Ibrahim’s take is rather astute and worth highlighting. But how does this tie into Apple Watch? Surely we’re not risking all that much by always looking down at our phones, are we? Well, it all depends on what you’re doing. To continue the metaphor, if you’re doing that nonsense while you’re driving, then you sure as hell are. But will putting some of that distracting info on your wrist really help in that scenario? I can think of several examples where it certainly would. Here’s a common one: Your iPhone’s in your pocket as an important call comes through. How do you answer while doing 70 on the interstate? Well, you could take your hands off the wheel and hastily unbuckle your seatbelt to dig around at your hip and yank out your handset with one ring left before the call goes to voicemail. Or, you know, you could keep your hands at ten and two, tell Siri to accept the call, and talk freely as you would to a passenger right beside you. Seatbelt stays on, car stays on track, and you stay out of the rush hour traffic report. To me, the steering wheel revelation offers an even more basic level of insight. And that insight has to do with friction. Friction, in nearly every context, is something we’re always trying to get rid of. Anything we can do to make things faster and more efficient is almost always welcomed, especially when it comes to consumer technology. It’s an interesting perspective, to be sure, even more so in the wake of an avalanche of Apple Watch reviews which touched on this very subject. While some reviewers found the constant stream of wrist notifications intrusive, others, like Farhad Manjoo of The New York Times were effusive about Apple’s new wearable device. By notifying me of digital events as soon as they happened, and letting me act on them instantly, without having to fumble for my phone, the Watch became something like a natural extension of my body — a direct link, in a way that I’ve never felt before, from the digital world to my brain. The effect was so powerful that people who’ve previously commented on my addiction to my smartphone started noticing a change in my behavior; my wife told me that I seemed to be getting lost in my phone less than in the past. She found that a blessing. It’s also worth noting that even for the reviewers who found the Apple Watch notifications intrusive, all of those can be calibrated to a user’s exact needs as to minimize the aforementioned friction. What’s fascinating about the Apple Watch is that we still don’t know how users are going to, well, use it. For all we know, the Apple Watch may prove to be another revolutionary product or, perhaps, a complete flop. Still, I do think there’s a lot of merit in the steering wheel analogy, insofar as that the buttons on a steering wheel aren’t absolutely necessary, but sure do make the driving experience on the whole a lot more seamless.